Nabil “Nabs” Al Busaidi was born in 1970 in London. He went to Bath University where he graduated in 1993 with a BSc in Mathematics. He also did a Masters in Management there in 1997. At Bath he represented the university in football, rugby, and American football, where he received university colours for football in 1992, and American football in 1997. 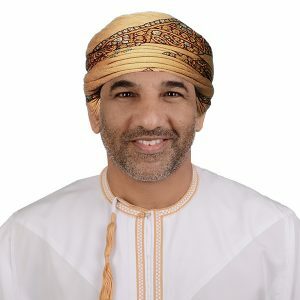 In 1998 he moved to the Middle East and played rugby on a regular basis for several years and was part of the Bahrain RFC team from 1997-2005, playing in the Arabian Gulf league, Gulf Cup, Dubai 7s and the Amsterdam 7s. He was considered for the Arabian Gulf rugby 7s squad in 2002, but broke his arm so badly that amputation was considered. Between 2001-4 he competed 3 times in the British winter Biathlon championships, earning the nickname “der Sultan auf Schnee” (the Sultan of Snow) from the German press. Nabs is a Fellow of the Royal Geographic Society, a Project Management Professional, a level 1 Chartered Financial Analyst and a lifelong Liverpool FC fan. You can read about Nabs’ expeditions here.